Be your best with our total line of warewash solutions. 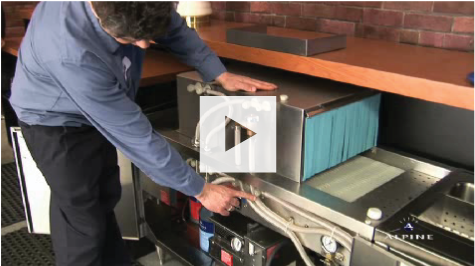 Alpine has established long-term relationships with proven dishwasher manufacturers. 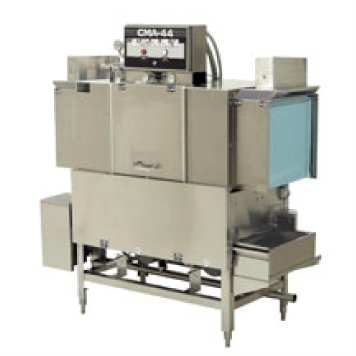 This comprehensive line of warewashing rental equipment, from under counter dishwashers to high volume conveyor machines, has been carefully selected to ensure your glasses and dishes are always at their best. 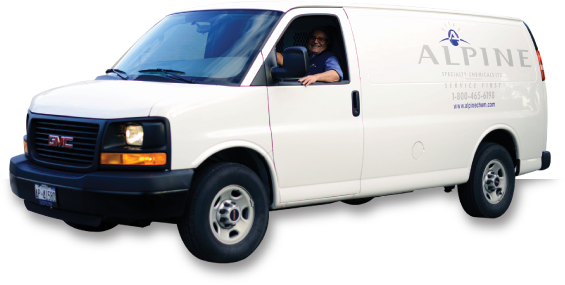 We also provide fast response and knowledgeable service for all of our warewashing machines, which translates into large savings for our clients as we only charge for parts not labour. Economical to operate. Uses only 0.94 gallons of water per rack. 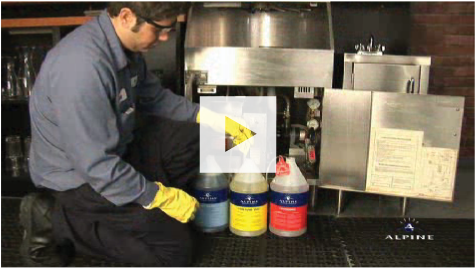 Unique three stage washing process provides pre-wash, power wash and final rinse in a 44" machine. 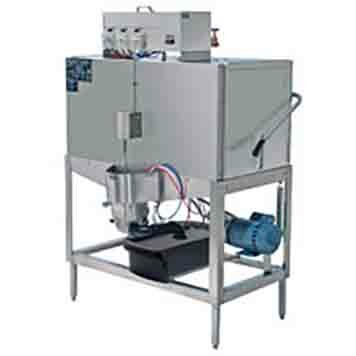 Automatic soil purging system with external scrap accumulations and large 19" opening accommodates larger utensils. 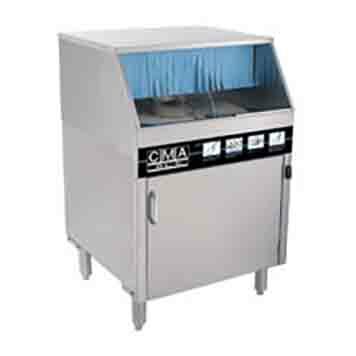 Fully automatic, wash, rinse cycle processes a rack of wares in 140 seconds. Push one button and the tank fills automatically. Pumped drain permits use of drain connections up to 4 feet from the floor. Extended wash cycle switch permits a rolonged wash on heavily soiled items and doubles as a deliming switch. Economical to operate. Uses only 1.7 gallons of water per cycle. Easy to remove wash arms and end caps provides easy cleaning. 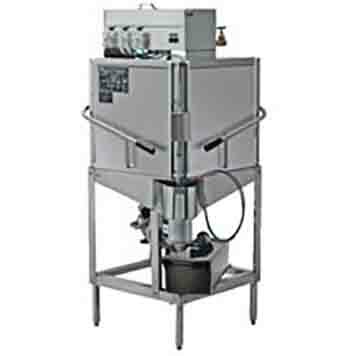 Pump purging system provides cleaner wares by eliminating soils and chemicals. Auto start/stop makes operations safe and easy. Economical to operate. Uses only 1.7 gallons ofwater per cycle. All heavy duty 304 stainless steel construction assures long life and years of trouble free operation. Unique spray arm system features upper and lower stainless steel wash arms with reinforced end caps. Economical to operate. Uses only 1.7 gallons of water per cycle. All heavy duty 304 stainless steel construction assures long life and years of trouble free operation. 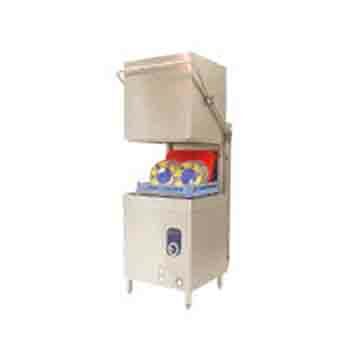 16" high door opening allows the washing of larger items. Unique spray arm system features upper and lower stainless steel wash arms with reinforced end caps. Economical to operate. Uses only 3 gallons ofwater per cycle. All heavy duty 304 stainless steel construction assures long life and years of trouble free operation. 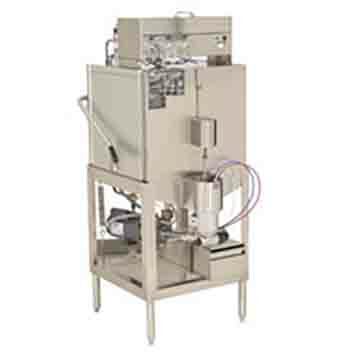 Unique spray arm system features upper and lower stainless steel wash arms with reinforced end caps. Economical to operate. Uses only 1.7 gallons of water per cycle. Easy to remove wash arms and end caps provides easy cleaning. 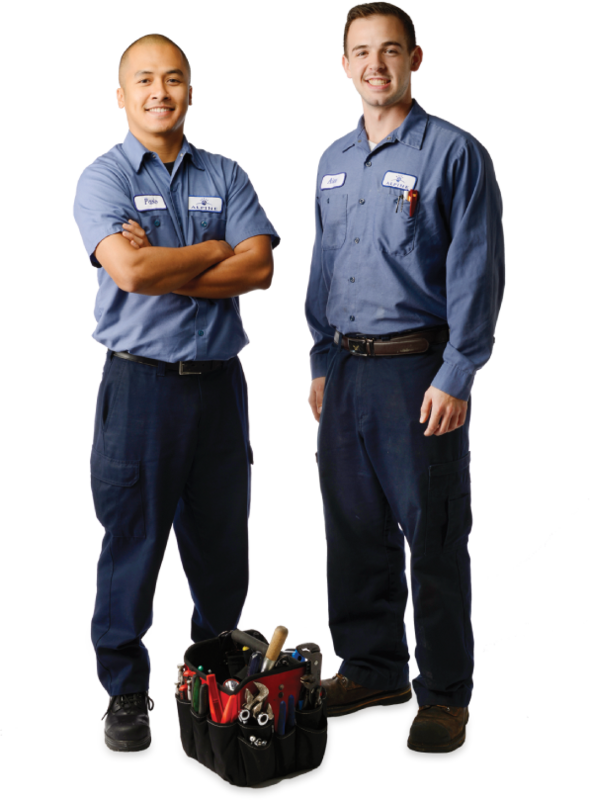 Pump purging system provides cleaner wares by eliminating soils and chemicals. Auto start/stop makes operations safe and easy. Large 27" high door opening. 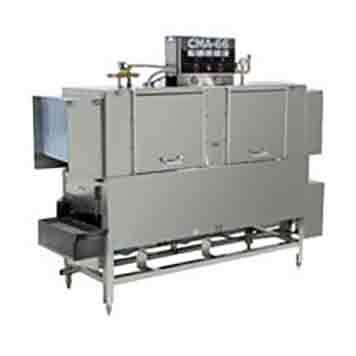 High temperature commercial dishwasher. 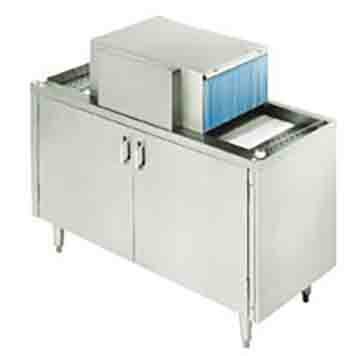 Large 27” door opening accommodates larger items and utensils. Uses only .96 gallons of water per cycle. 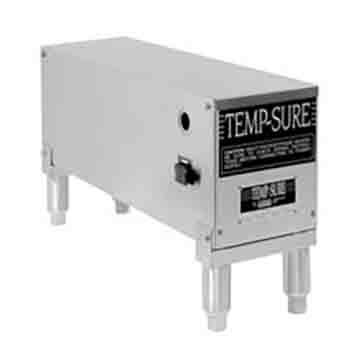 Built-in chemical resistant industrial 5 KW heater. Auto start/stop makes operation safe and easy. Specially designed pull-pins allow wash arms to be easily removed for cleaning. 12kW industrial heater is proven to be more durable than commercial style heater. Fast recovery, 40° rise in 90 seconds. 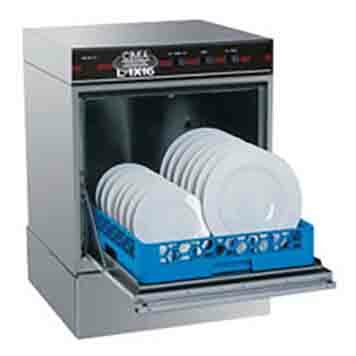 Universal mounting system fits all single tank CMA models and most competitor model dishwashers. Free standing units also available. 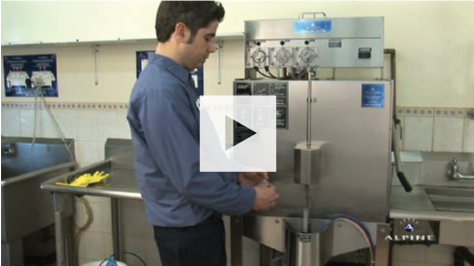 Fully automatic wash/rinse cycle processes a rack of wares in 140 seconds …21 racks an hour! Easy to operate: On to fill, Off to drain. Pumped drain permits use of drain connections up to 4 feet [1220mm] above the floor. Extended wash switch provides a prolonged wash cycle for heavily soiled items and doubles as the switch that activates the deliming cycle. 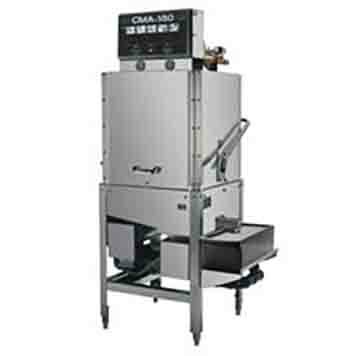 Fully automatic, wash, rinse cycle processes a rack of wares in 140 seconds. Push one button and the tank fills automatically. Pumped drain permits use of drain connections up to 4 feet from the floor. Extended wash cycle switch permits a prolonged wash on heavily soiled items and doubles as a deliming switch. Powerful 1.5 HPwash pump, mounted on anti-vibration pads. Four large rectangular screens maximize food soil collection and improve resistance to clogging. All stainless steel, interchangeable upper and lower wash and rinse arms including nozzles. Double-walled tank construction for quieter operation. 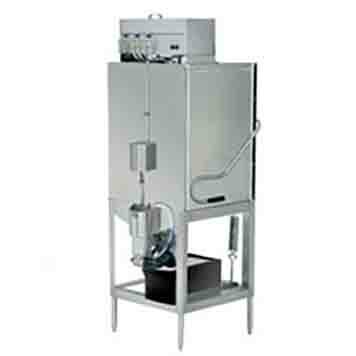 The Knight175 GT dishwasher is designed to provide years of excellent warewash results under many types of conditions. 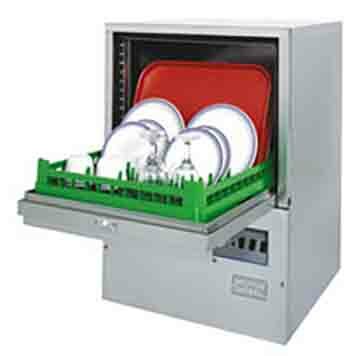 Each unit is configured as an automatic start dishwasher, meaning that the dishwasher starts when the doors are closed. 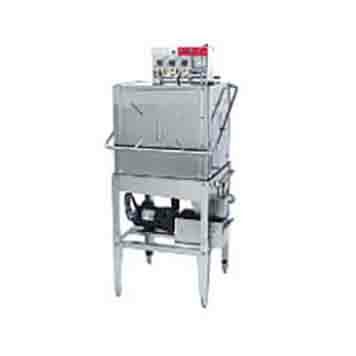 The dishwasher includes a three product chemical dispenser located on top of the dish-washer which dispenses liquid detergent, rinse product, and a chemical sanitizer suitable for low temperature. 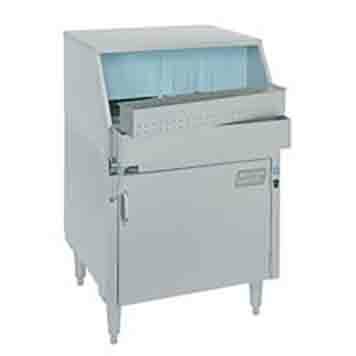 Carousel glasswasher. Double wall construction for quieter operation. Polypropylene conveyor eliminates chipping of fine stemware. Splash shield for splash over protection. Upper and lower wash and rinse arms produce sparkling clean glasses every time. Cool final rinse water provides a ready to use immediately. Comes with three chemical feed pumps for just the right amount of chemical each time. Available in either 4 foot or 6 foot models. Also available in either right to left or left to right operation. Upper and lower wash and rinse arms produce sparkling clean results every time. Polypropylene conveyor links eliminates chipping of glasses. Two splash curtains protect from over splashing. Three-pump system provides just the right amount of chemical every time.